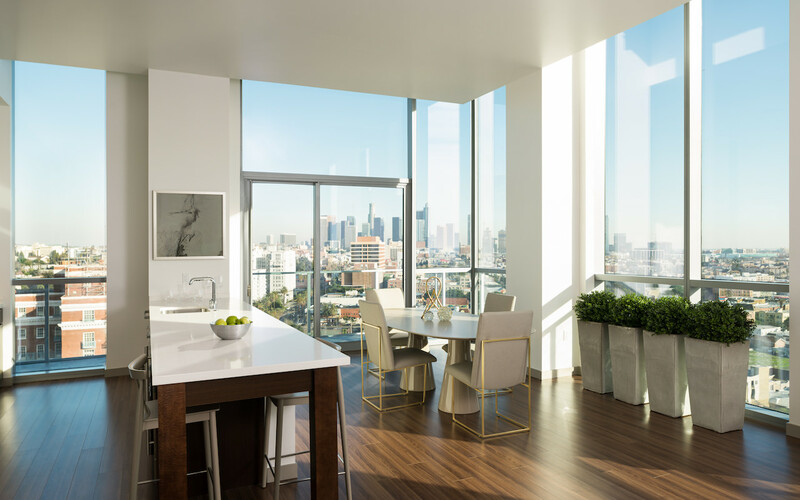 Named aptly for its address, 3033 Wilshire is one of the first luxury mixed-use projects to be constructed along the historic Wilshire corridor that stretches 16 miles west from downtown LA. 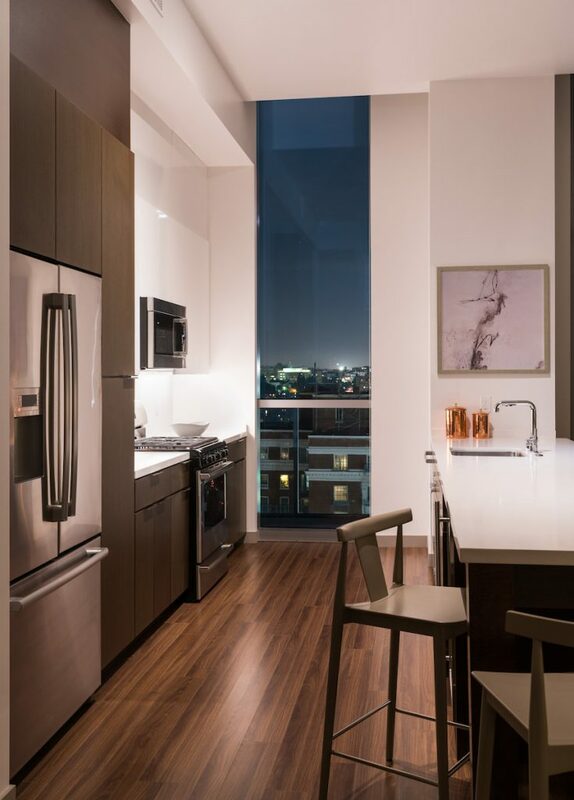 The 18-story residential tower sits at the gateway between downtown and Koreatown, featuring a sleek glass and aluminum facade – creating a striking juxtaposition with the Art Deco-style Bullocks Wilshire tower. 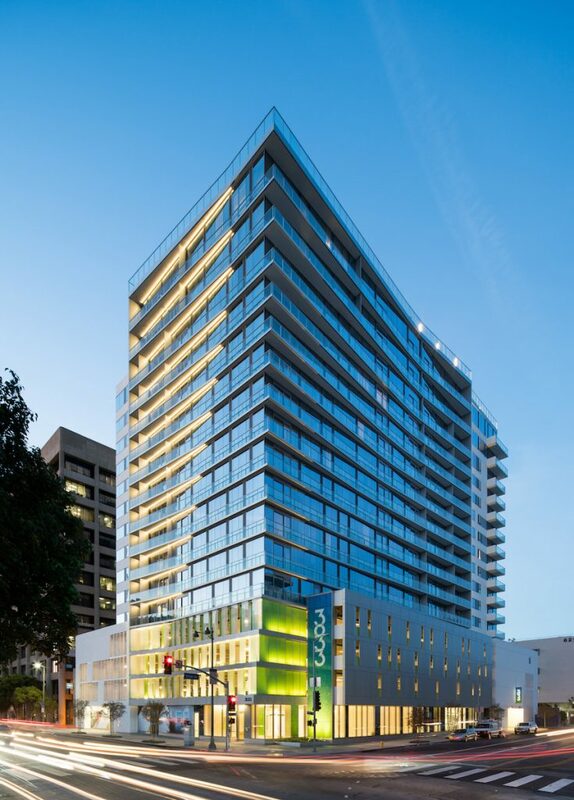 Developer UDR partnered with Steinberg Hart Architects to design the 190-unit building. 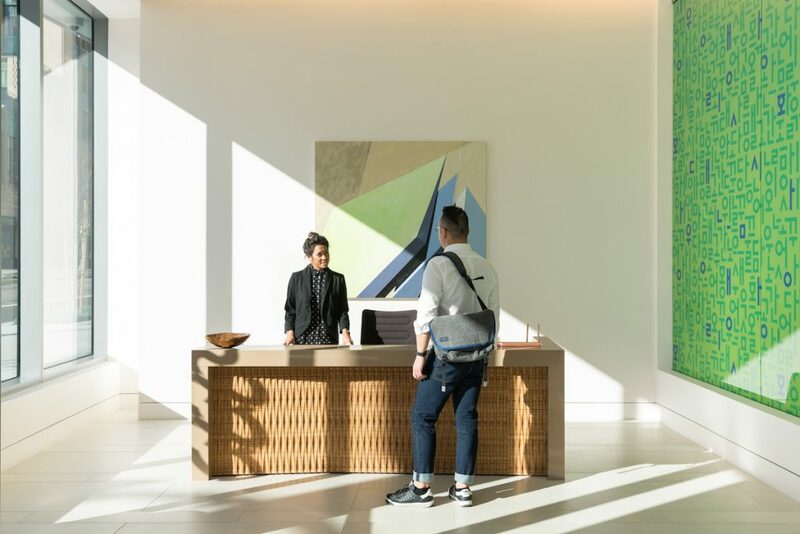 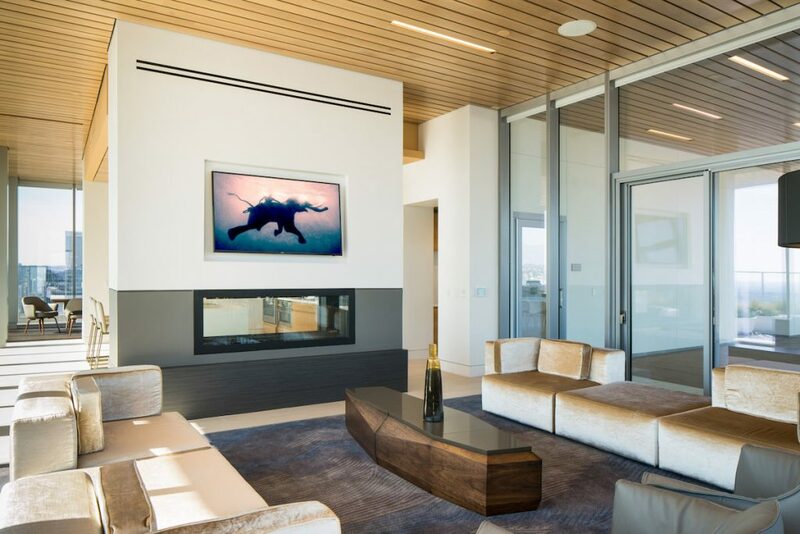 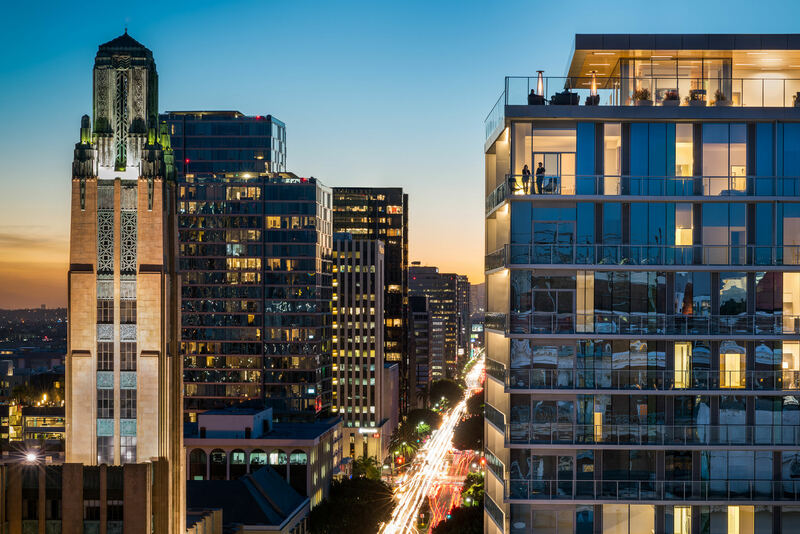 A combination of studios, one- and two-bedroom apartments along with several penthouse suites are accompanied by residential amenities and 5,500 square feet of commercial retail space on the ground floor. 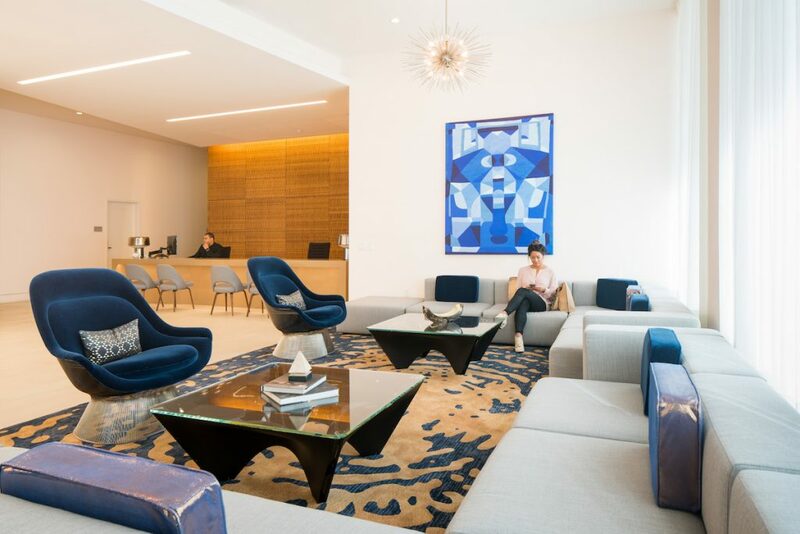 Residents have access to a lobby lounge, fitness center, and a golf simulator - a rarity even for eccentric Los Angeles. 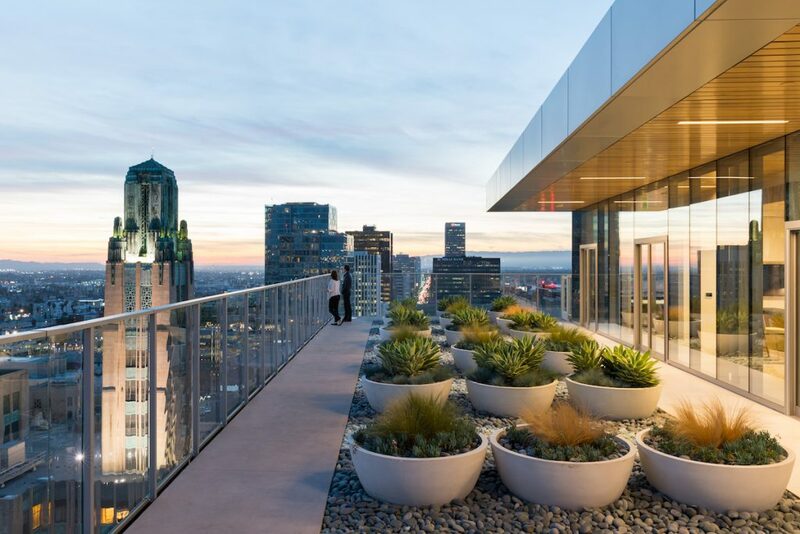 The rooftop sky deck includes a lounge, garden and pool, all of which offer stunning views of downtown and the Hollywood hills.